Why look for government information? When looking for government information, it is often useful to remember some basic civics. Different levels of government are responsible for different governmental tasks. And since the information produced by government is related to the jobs it must do, different types of information are produced by these different entities. So to find legal documents pertaining to these laws, you would need to look in the publications of the proper jurisdictions. Of course, however, local, state and national governments might all at one time or another, produce surveys, studies, or "white papers" on topics of general interest, such as immigration, pollution, or education policy. Not surprisingly, there are different organizational systems (or, sometimes not much of a system at all) that have evolved to describe and classify government information at different levels. With very few exceptions, all of these publications are represented in Library Catalog, and may be found there in the course of a normal search, by using subject, keyword, or author terms. The LOCATION given for a print government publications in the catalog is either Blume U.S. Docs. 2d Flr. or Blume Texas Docs. 2d Flr. More information on the government publication classification systems is under the In the Library tab. International information. The Library does not have a collection of international documents. However, the International/Foreign tab lists several online sources. This Guide covers U.S. national government information in the most detail, since it is the most voluminous and also the best organized. But references are also made to Texas and local government information. And for more detail on the information generated by these governments check Texas Government and San Antonio & Bexar County tabs. Other libraries in the San Antonio area maintain collections of printed government information and have expertise in finding government information online. Below are links to these libraries. Links to other government guides as well. Note: The Texas print depository system no longer exists. Some of the following libraries may have retained their legacy print collections and/or might have expertise in finding Texas government information online. Regional depository. Links to the Texas State Plan for Federal Depository Library Services. Looking for a document, video, or other information that you know you saw on a government website, but now it's nowhere to be found? These various archiving projects might be able to help you out. Note that the archived websites might have broken links or other non-functional content. Archives of defunct agency websites maintained by the University of North Texas. Archive project of the Government Printing Office and Archive-It.org, covering government websites. Collection of millions of titles digitized from libraries around the world. Note: some full-text items, some limited access titles. Searchable portal to a huge range of archival collections from hundreds of institutions. It includes thousands of historical government publications. Locate records, and limited digitized materials, from the National Archives. Search and then choose "Available Online" to find digitized materials. "Explore more than 327 billion web pages saved over time"
We hope that folks in the San Antonio area will ask us if they need help finding government information. But if you are somewhere else, or we aren't available, there's another service you can use. 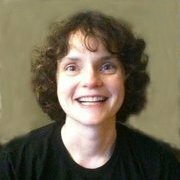 Ask a librarian service connects you with a government information librarian at a library. 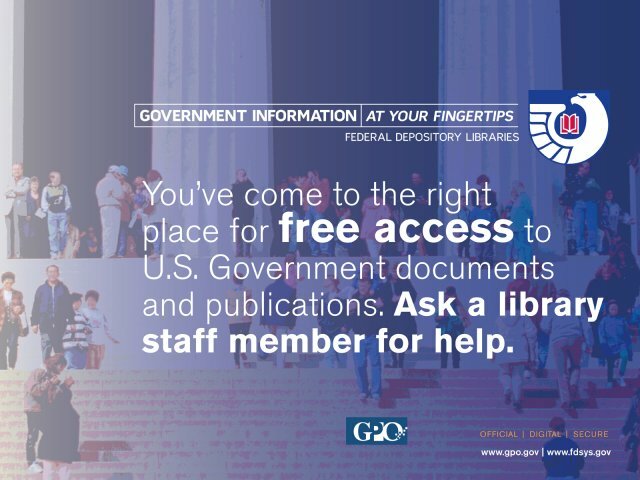 Sponsored by GODORT, ALA.
We at the Blume Library are dedicated to providing free access to government information to members of the 20th Congressional District and the general public, as well as to the St. Mary's community. Patrons not affiliated with St. Mary's may not check out materials from the Library, but are welcome to use any tangible materials, including government documents in any format, in the Library. Government materials may be requested through the patron's home institution, or the public library, on interlibrary loan. Non-St. Mary's patrons may use computers in the Library for research involving government websites, provided there are available computers not being used by St. Mary's students, faculty, or staff. Librarians are happy to respond to queries and requests for assistance from the general public. Since our first responsibility is to the St. Mary's community, however, there might occasionally be some delay in responding to complex queries.